Peggie is using Smore newsletters to spread the word online. I know there is a bit of friendly competition going on between the principals, so congratulations to Mr. Goetz and Dr. Laber! 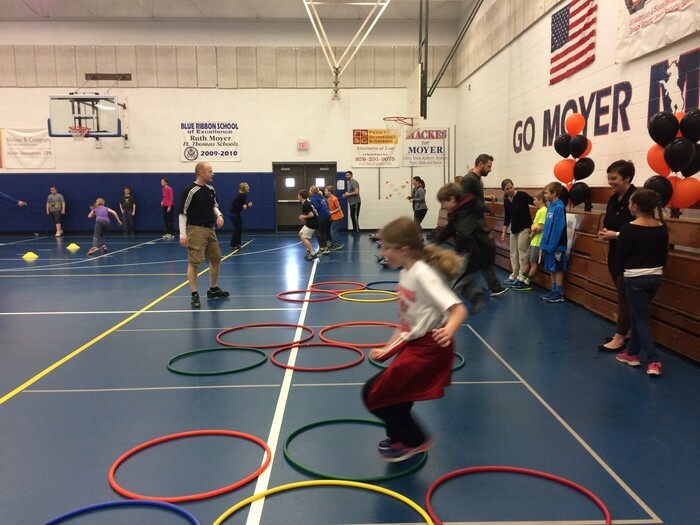 Parents visited Moyer's PE classes this week to exercise with their students. Mr. Hedenberg reports that more parents attended this year than ever before! 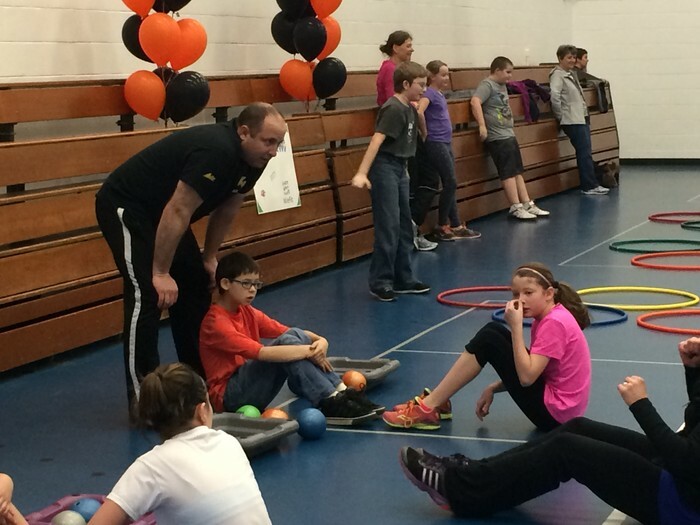 Volunteers from WieFIT came in and worked with the students and parents. 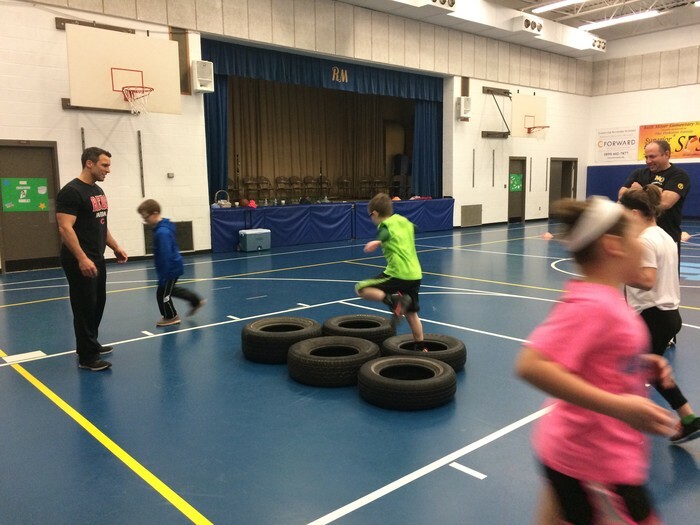 The Kentucky Association of School Councils is offering two spring academies in March at locations in Bowling Green and Lexington. Learn to apply quality of instruction with effective higher-level questioning to ensure your students’ engagement and increase of their knowledge. The research overwhelmingly supports that all students can learn at higher-levels. Cost for members is $75 for one session; $125 is the fee for both sessions. Cost for non-members is $150 for one session; $225 is the fee for both sessions. Register here. You may be reimbursed for meals when you are traveling out of the district and staying overnight. Detailed receipts should be turned in with the reimbursement form. We cannot reimburse for extras, such as snacks or coffees. I have been asked by a few people about this, so I thought it might be important to share with everyone. Teachers do not enter results for student growth into CIITS. Instead, you are to share your results with your principal when you meet with him or her. The principal will then mark one of the following scores in CIITS: H (high), E (expected), or L (low). There is not a place in CIITS for the teacher to enter the actual raw data or scores. Please let me know if you have any questions about this. All four academies will take place on Monday through Friday from 9:00 a.m. – 4:00 p.m. Teachers are expected to attend all five days. Each academy will accept up to 30 teachers. Teachers attending the academies will receive hands-on, standards-aligned training and a $500 stipend ($100 per day). Teachers may elect to receive professional development credit as approved by their districts (6 hours per day) instead of stipends for some of these days. We do not have funding to cover transportation or lodging. Applications must be submitted electronically by April 17, 2015. For further information including faculty information and eligibility criteria, as well as the online application, go to: http://www.kentuckycenter.org/Community/Academies. If you have questions, contact Cecilia Reyna at creyna@kentuckycenter.org or 502-566-5151 (e-mail preferred). What is the translation for "Erin go Bragh"? The first person to respond with the correct answer will receive a small prize!